It has been a while since the art of good local communication was shared, so this guide is a timely primer for communicators at all levels. It includes some fascinating history, such as the 13 rules set out by Geoffrey Lewis in 1973. They still hold true and echo some of our themes for reform of central government comms, such as the ‘alertness to political situations’. The 300 pages contain comprehensive, revealing and useful examples of good practice. The section on strategy is solid and advice on the law and crisis comms is valuable. At times, the book takes a while to nail the critical message. The ‘chief executives challenge’ of 2008 is well examined, but the key points are somehow left unsaid. It takes until page 97 before the book’s central truth is reached: when citizens feel better informed about public services, they rate them more highly. And there is too much focus on output, at the expense of actual behaviour change. My only real complaint is that the book describes the comms landscape at a moment in time – and that moment has been swiftly overtaken by a more digital and direct era, propelled by content creation and data. The new ‘digital by default’ nature of comms is dealt with as an afterthought. The basics are dealt with comprehensively. But I am not sure whether the book equips public sector communicators with the skills for tomorrow’s world. 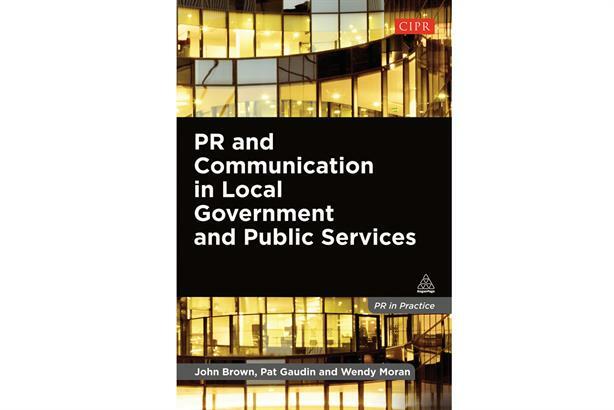 It is an excellent starter on local government comms, but ambitious communicators will supplement it with more up-to-date sources.